WAKADO: Heavens Gate - Booking A One Way Ticket On The "Hale-Bopp" Comet ! Heavens Gate - Booking A One Way Ticket On The "Hale-Bopp" Comet ! Whether Hale-Bopp has a "companion" or not is irrelevant from our perspective. However, its arrival is joyously very significant to us at "Heaven's Gate ®." 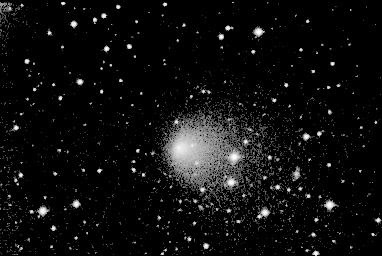 The joy is that our Older Member in the Evolutionary Level Above Human (the "Kingdom of Heaven") has made it clear to us that Hale-Bopp's approach is the "marker" we've been waiting for -- the time for the arrival of the spacecraft from the Level Above Human to take us home to "Their World" -- in the literal Heavens. Our 22 years of classroom here on planet Earth is finally coming to conclusion -- "graduation" from the Human Evolutionary Level. We are happily prepared to leave "this world" and go with Ti's crew. 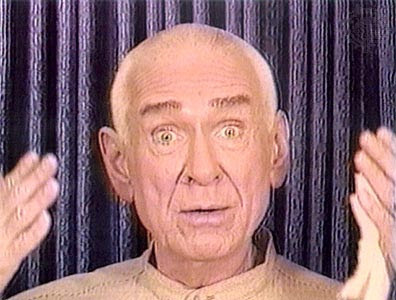 Marshall Herff Applewhite Jr. (May 17, 1931 - March 26, 1997) was the leader of Heaven's Gate group. He died in the group's mass suicide of 1997.